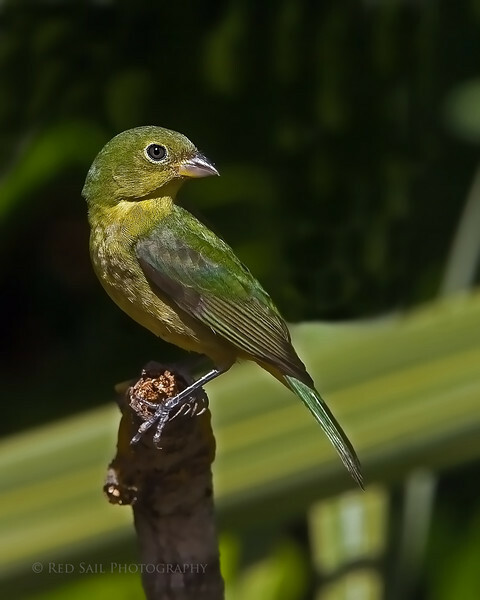 Painted Bunting female. This little beauty just arrived at my feeder, February 19th. I think she is early but I'm really glad to see her....summer is just around the corner. Image taken in my backyard, Atlantic Beach, Florida. Fabulous shot, such great detail, the feathers look so silky. Beautiful image, the pose, detail and color all come together. Very well done. I see your using a 20D and 300 with 1.4? Great ensemble. I can give some locations for the owls but it's much more fun to drive around and discover them. Thanks for stooping by my gallery.